A home should have a character...this is something I have always believed and that faith got etched on stone when I joined the design school. The very first lesson was to find my own style...something that defines me...something that I believe in. Much later when I got married and started setting up the house I had no set vision. All I wanted was to combine easy elegance with functionality. I was lucky to have got a blank canvas and buy everything that we needed. where silence or quietness is not only the absence of sound but the silence of desires and thoughts. 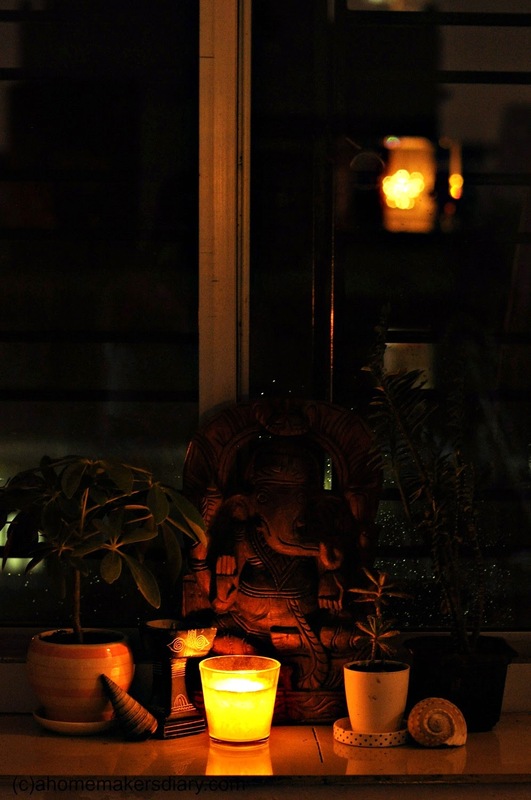 A state of mental concentration that brings inner peace, a spiritual experience par excellence. it was a blessing to have grown up in Santiniketan, where Tagore's idea of being surrounded by nature and beauty in the most basic and mundane form inspired and influenced my senses at very early years. The various aspects and substance of art and culture were imbibed in me during my school years itself and later carved me as a person. That very essence of Tagore’s teaching was, to encourage a person to be what he is, was a big confidence booster for all of us. We learned to live with the nature and appreciate beauty in simplicity. 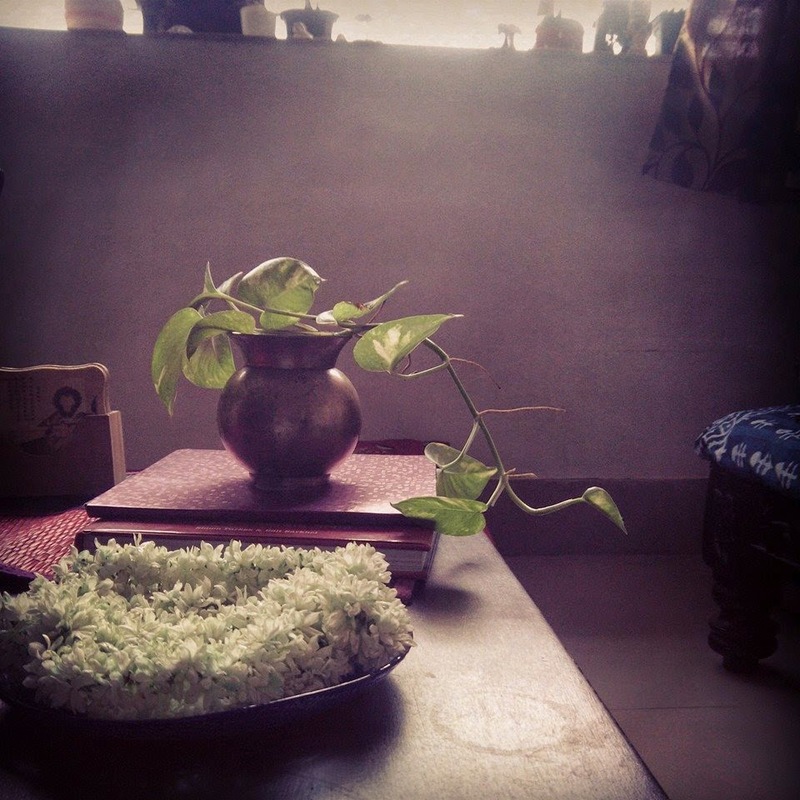 Nature, its forms and Tagore’s ideologies are a big part of my designing aesthetics and it gets reflected in my home decor too. 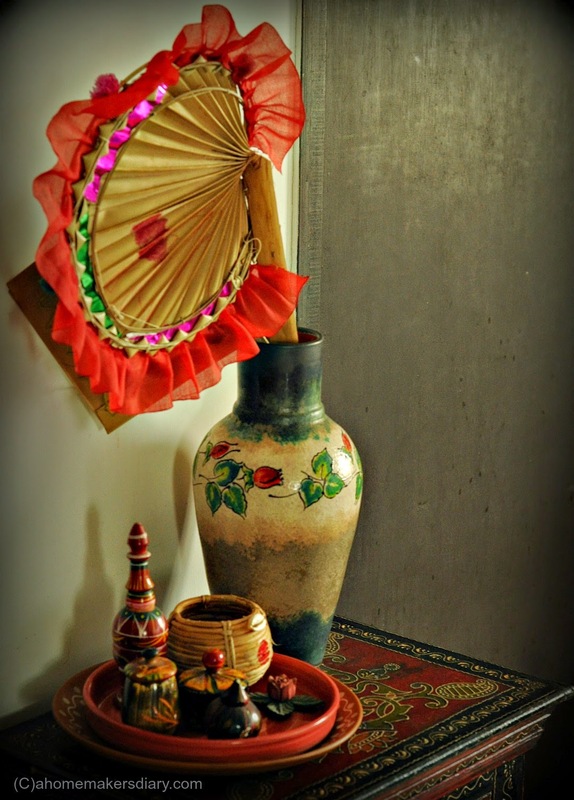 So my haat pakha (hand held palm leaf fan), Kansa'r Bason (metal utensils) or Dhama (cane baskets) are not only used as props in my food styling but they posses their own space throughout the house. 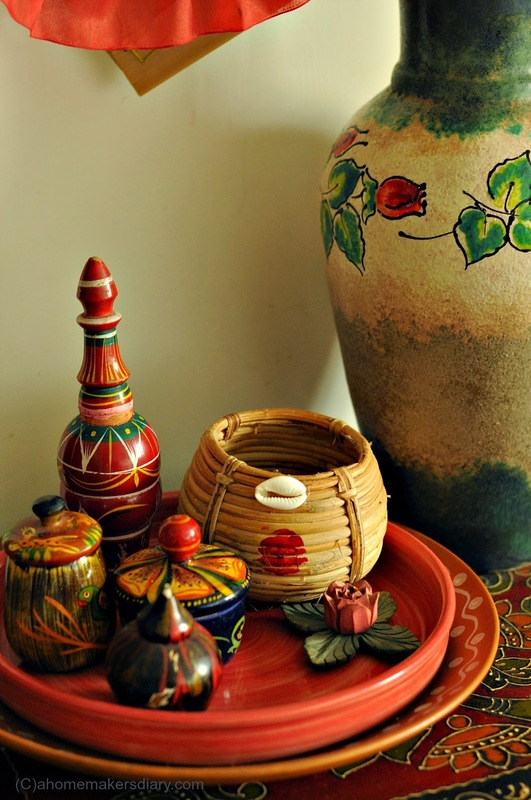 Every thing that are handmade lures me and I love to use all sorts of Indian handicraft in my house. Overtime during our travel to other countries I have collected a few items that I keep close to me and display proudly. Both me and my style are desi, Bengali to be precise and it's very nature lies in every things indigenous to my own country. 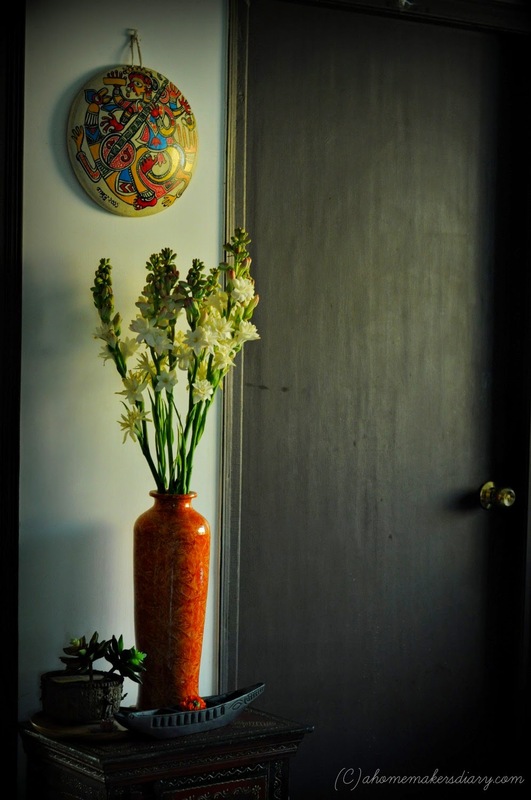 I know I am repeating myself but you have a beautiful home which reflects your artistic personality. And that what makes it unique. Needless to say it looks soo warm n cozy. Beautiful home!! I smiled at the Shanonda magazines. Used to love those, but donn't get them here in the US any more. Beautiful Sayantani. 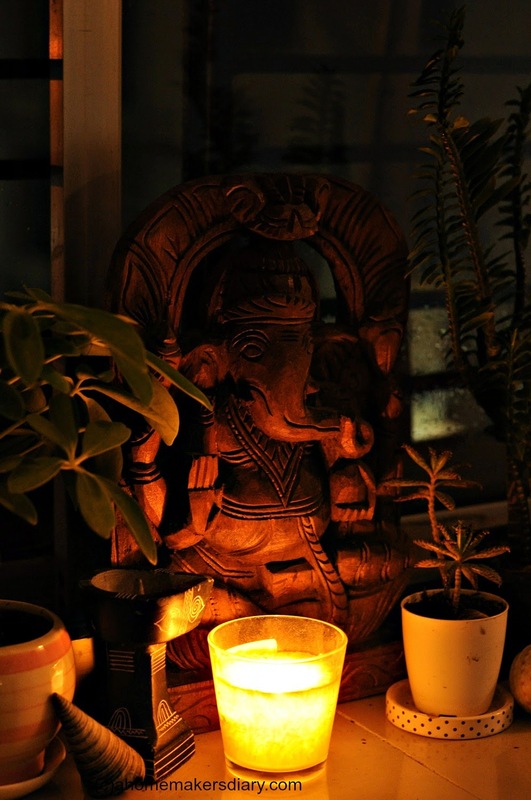 I love the Vinayagar corner, the Buddha statues and the bamboo plants. 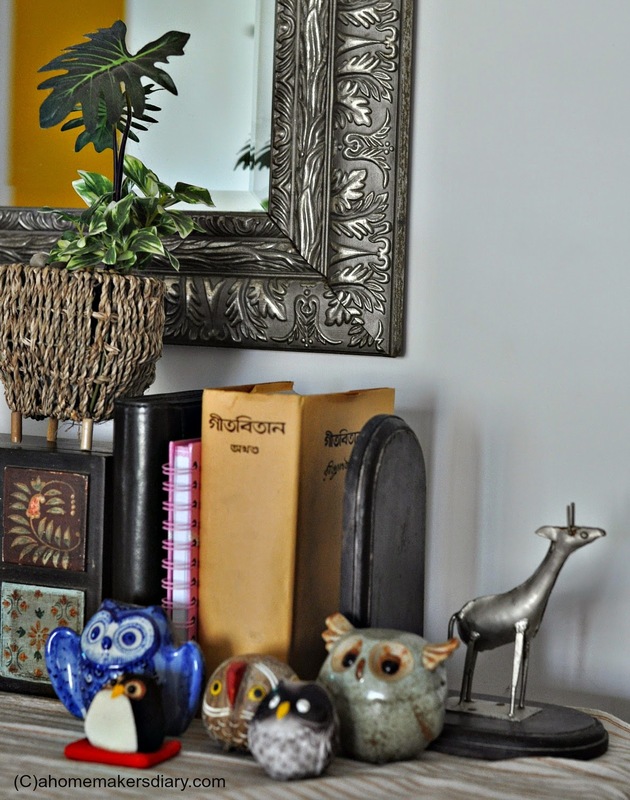 Sayantani love the serenity in your home and all the little knick knacks that are so Bengali. This is you and God bless your home and hearth! 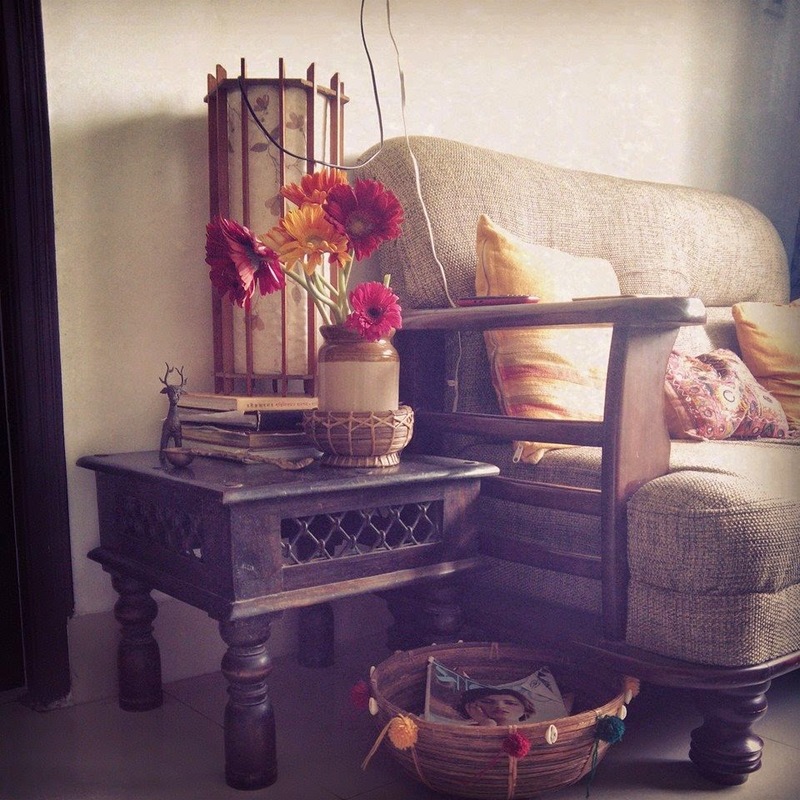 What a warm & lovely space you have Sayantani! absolutely gorgeous, I guess I am going to come back to this post many many more times! Thanks for letting us in! 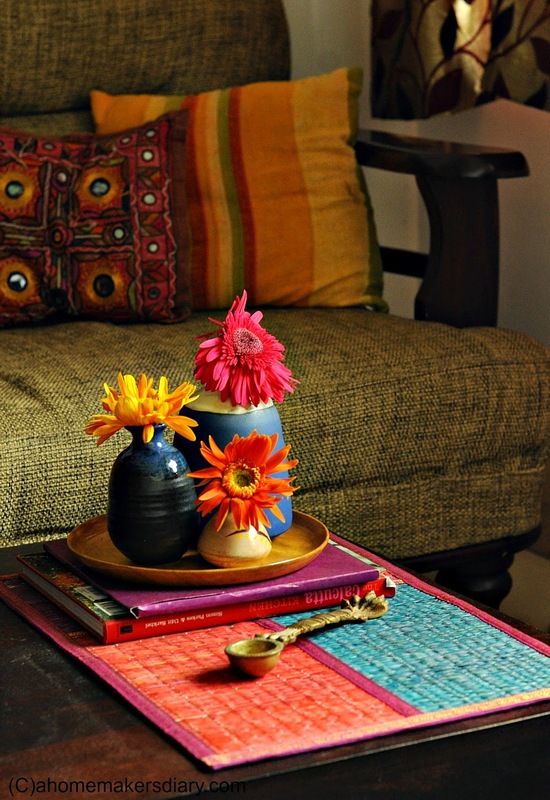 Very pretty corners, creativity and artistic touch..! comfy yet elegant.. I love the owls, have to mention :)..! What a beautiful , warm , cozy and inviting space!! 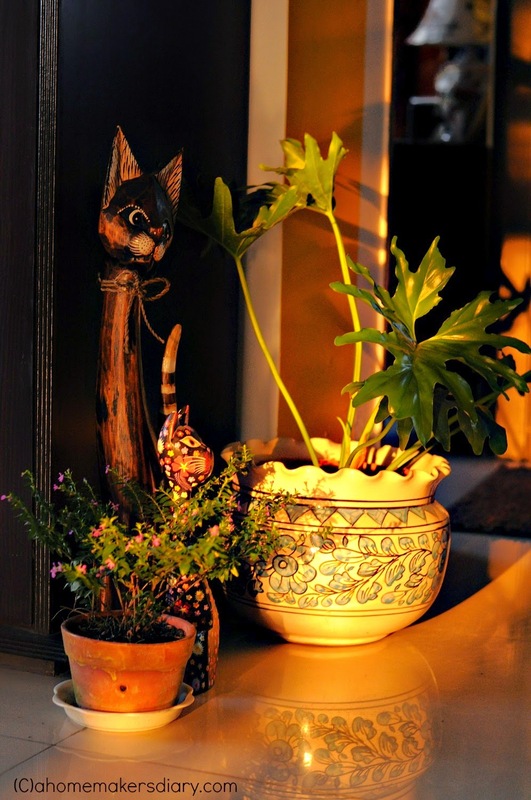 I have had the opportunity to visit your home and have loved each and every little corner of it. 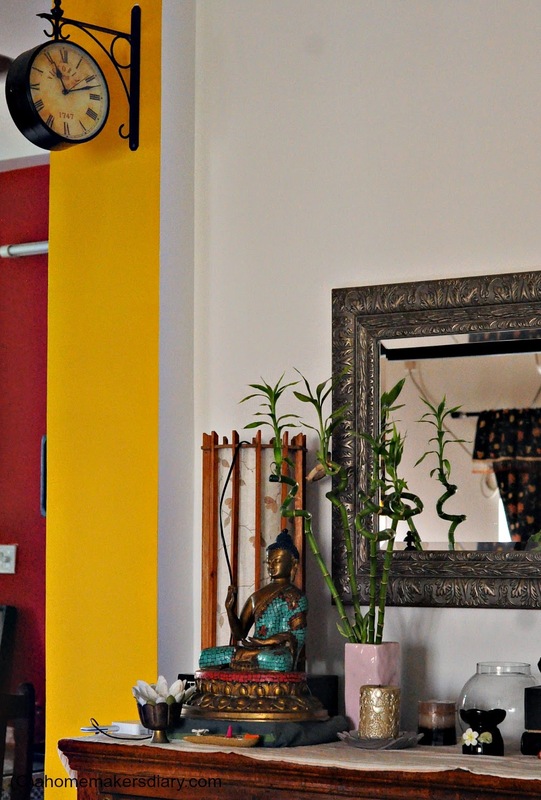 Your home is an extension of your persona and I am completely bowled over with it. 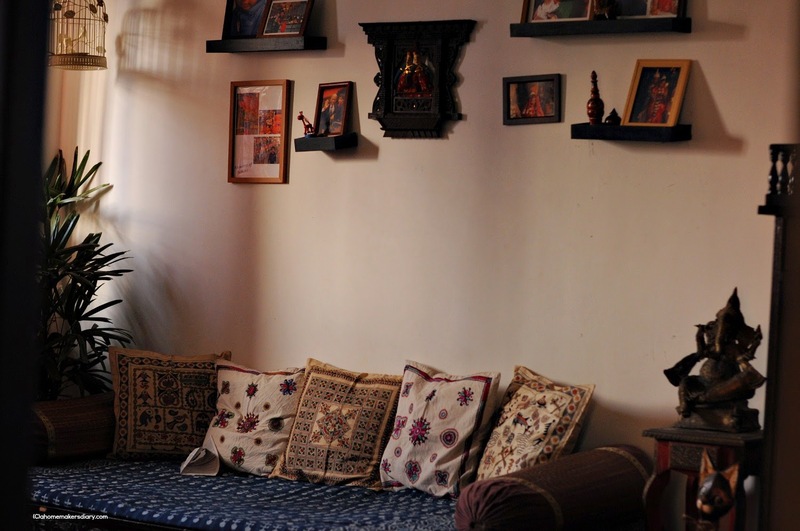 very nice home sayantani...and beautifully decorated.. I believe that you have made this house come out alive by making it a home with all the artistic items which are all perfectly placed. BTW, could you please tell me from where you got the wall clock? I think it's beautiful. 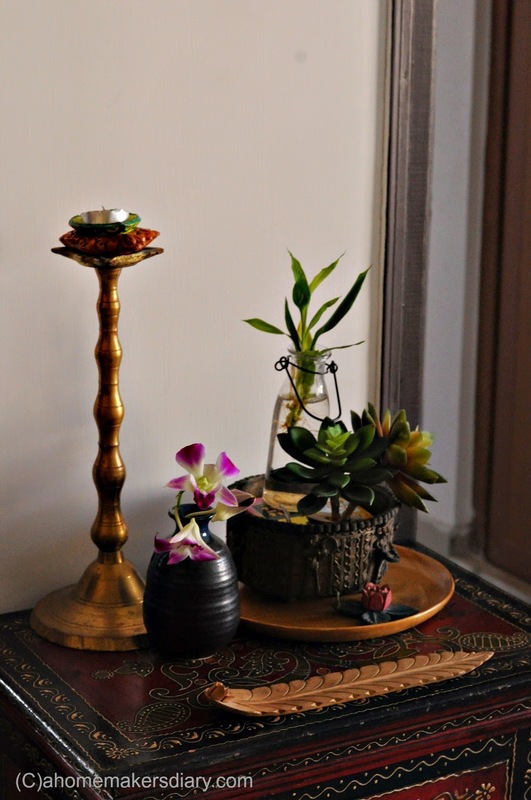 I just love the bengali concept..I also am designing a bengali style living room and your blog is the only site which talks about a bengali living room. very researchful article. 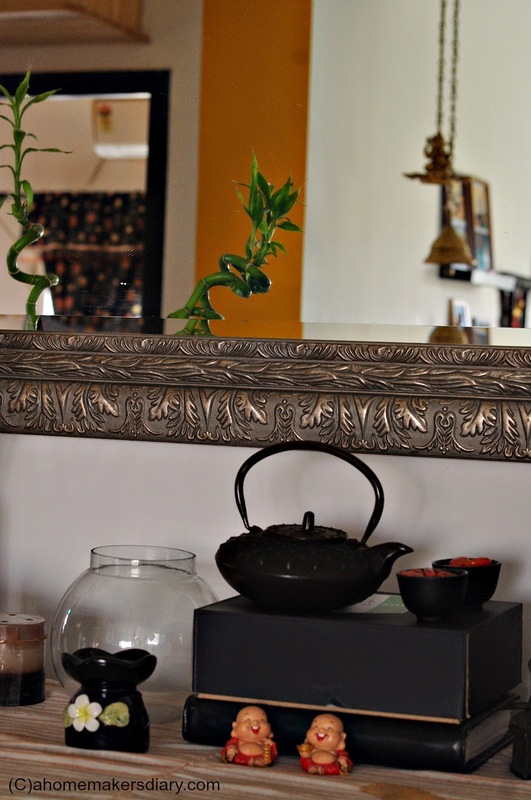 You were the first person to decorate a home inspired by bengali culture..I just love every corner of it and I took inspiration from you to design my living room in bengali style. thank you.